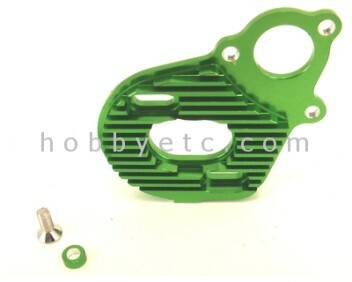 This is the Optional heat sink Motor Mount for the AX10 Scorpion . This Mount holds the motors and gearbox assembly. CNC Constructed of Black anodized aluminum With cooling fins to help dissipate heat. A bottom anchor M3 screw mount to give it a better gear alignment.